Let Wild Vistas Trekking take you into the most scenic and spectacular wilderness and roadless areas in the United States. Explore red rock canyons carved over eons of time by wind and water. Marvel at the color and simple beauty of summer wildflowers filling a high mountain valley. Observe the majesty of a black bear or moose in its natural habitat. Thrill to the splendor of evening alpenglow illuminating ancient glaciers on chiseled granite peaks. 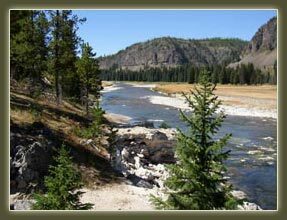 Let experienced naturalists guide you through some of the most beautiful and little known areas of Yellowstone National Park. The hikes are moderate in skill level. We meet you at your hotel at 8am and return approximately 4:30pm. 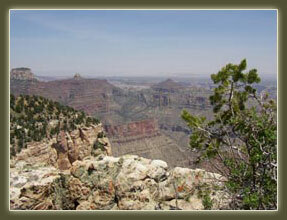 The hikes are moderately strenuous but taken at an easy pace to ensure your enjoyment. Included in the price: All trip prices include transportation to and from the trailhead, daypack, water bottle and lunch. Price: $145.00 per person for the first two people and only $85.00 per person per day for each additional person in your party. What you need to bring: Sturdy hiking shoes, some warm clothing (such as a fleece sweater), hat, sun block, sun glasses, rain jacket and, of course a camera! Enjoy your hike in the Grand Canyon so much more with an experienced, professional guide versed in the history, geology and lore of this fantastic place. Even more importantly, your guide will assist you in safely hiking a variety of routes in this most challenging of areas to hike. The hikes are moderate to strenuous in skill level. We meet you at your hotel at 8am and return approximately 4:30pm. Included in the price: All trip prices include a daypack, lunch, bottled water and snacks.